A blacksmith visit goes fast when you only need trims. Rodney stood like an old soldier. He’s always good – all my horses behave on the ground – but he’s usually intrigued by being outside the pasture. This time around, with this heat index, he was in touch with his inner school horse. Mathilda succeeded in holding up all four feet but found it tiring. The blacksmith had to move fast on the right hind, but she’d worn off most of the necessary by keeping her weight on that foot. She also had trouble bending the hock on the left leg. A remnant of one of her sillier maneuvers during rehab. Both blacksmith and blacksmith’s assistant thought Mathilda had gained weight and handled her balance better than last time. So it’s not all wishful thinking on our part. Snaps to my blacksmith for working so patiently with such a wobbly critter. After they left, I took a nap. Why is it so exhausting to watch other people work? I would argue the nap was necessary due to the stress of uncertainty. Was the Divine Miss M going to be able to do it? 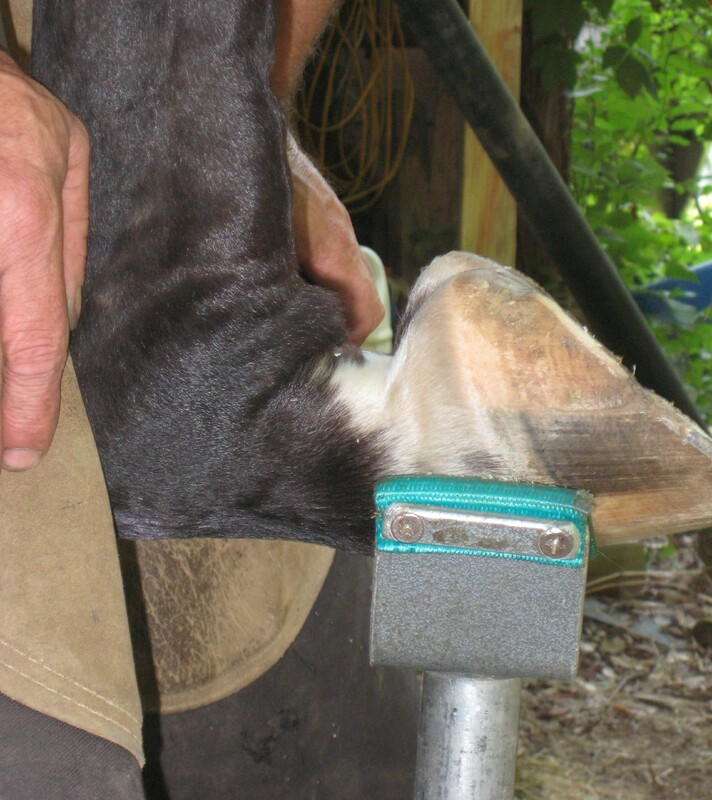 The huge feeling relief when she was able to have feet trimmed brought on the nap. Update: Appointment was Tuesday afternoon. She was still a bit stiff & tired Wednesday evening. I thought I was overreacting by leaving her to rest for the remainder of Tues. Guess not.